A wall dressed in an attractive wallpaper is a decorative accent. The color palette integrates pastel colors, that create a serene and modern atmosphere. 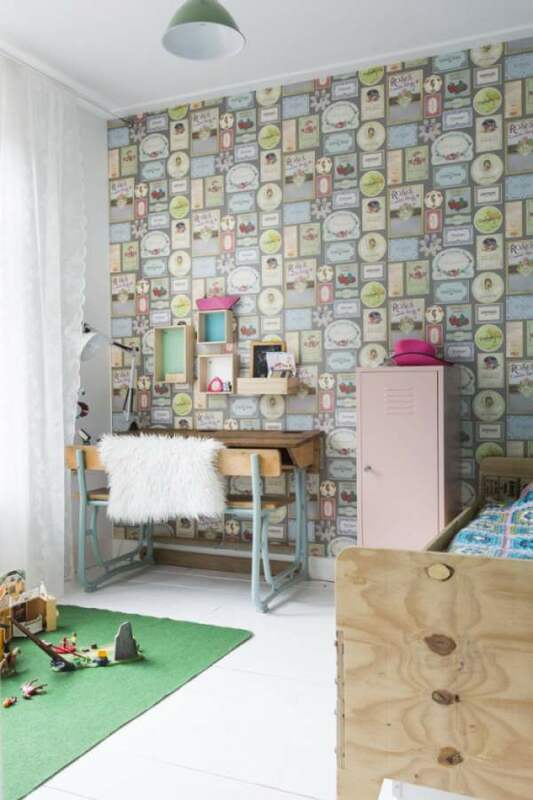 In this kid’s bedroom furniture contemporary design mixed with vintage pieces. A practical idea to create storage space: wooden boxes bulwarks to the wall that function as a colorful shelf. What idea of this bedroom do you like to take home?